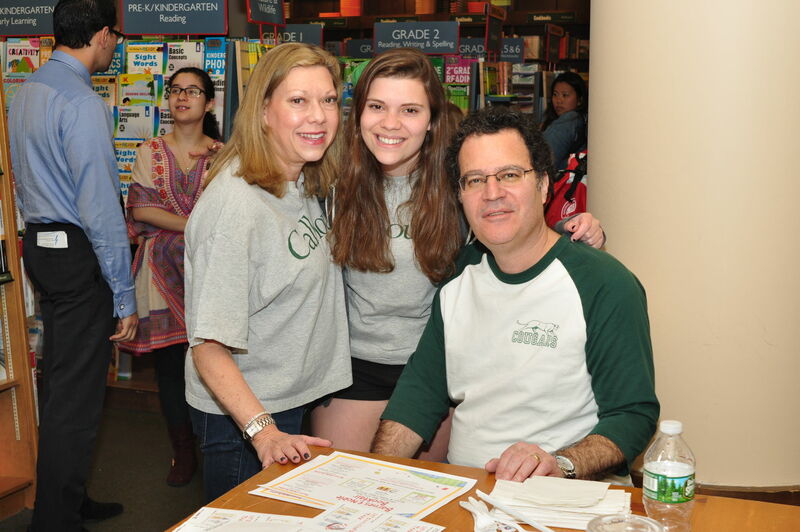 Location: Barnes & Noble, B'way & 82nd St.
Can't Get to Barnes & Noble on May 23? Calhoun will get a percentage of your purchase! Check back in the spring for the 2019 purchase code. For More Information: If you have questions or would like to volunteer, please contact Lori Serling Sklar '75, Book Fair Co-Chair. 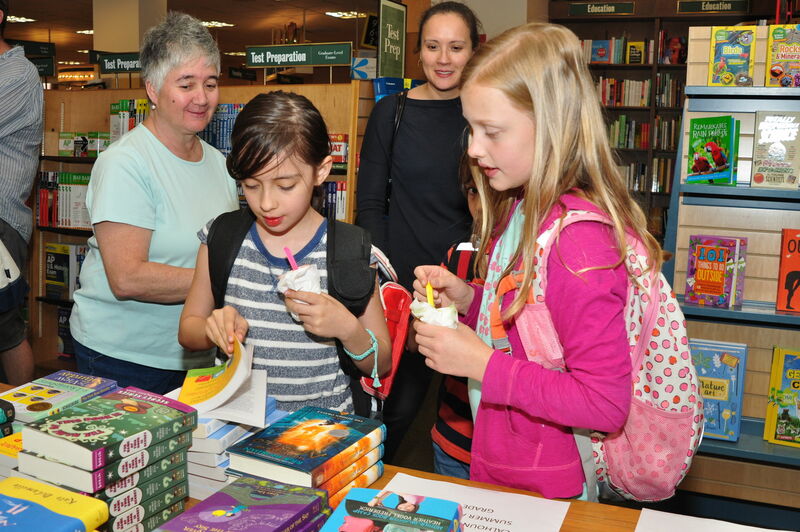 Each year, the Book Fair brings financial support and hundreds of books for Calhoun's libraries and classrooms. Calhoun receives a percentage on all purchases, including books, music, magazines and gift items. When you go to make your purchases, think about mother's day, father's day, summer reading, graduation and birthday gifts! 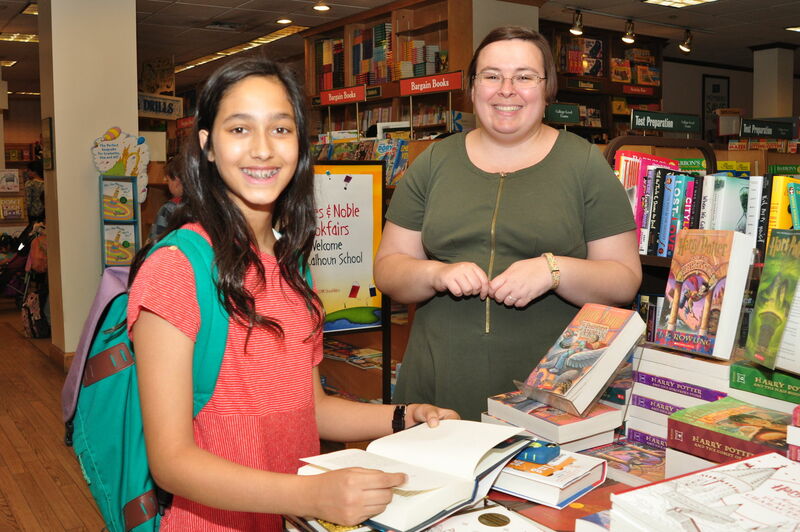 By using a book fair voucher or mentioning Calhoun by name at the cash register, parents and friends ensure that a percentage of your purchase dollars goes to Calhoun. Parents, grandparents and friends can purchase and donate books directly for the school, and have the family's or child's name imprinted on a donor bookplate designed by our students. Books on the "wish lists" of Calhoun's teachers and librarians can be found at the Calhoun desk set up at Barnes & Noble. Each year, our community donates as many as 500 new wish list books! Look for the Calhoun table (with balloons) at Barnes & Noble, where you'll find suggested summer reading lists for students. Plus, LS librarian Beverly Lane will be there if you would like help or advice with your purchases.